Dye Estates is located within the beautiful Barefoot Resort, offering luxury homes. The homes are surrounded by the beautiful Dye Golf Course, and Barefoot Resort & Golf. Homes for sale in Dye Estates, will certainly not disappoint. These homes are among the most prestigious in the entire Barefoot Resort, featuring a guarded front gate. Many of the homes are located along the Intracoastal Waterway, offering amazing views! The majority of homes for sale in Dye Estates, are estate-style homes with nice size lots. Keep in mind, there are several lots for sale (all with no time frame to build stipulated). 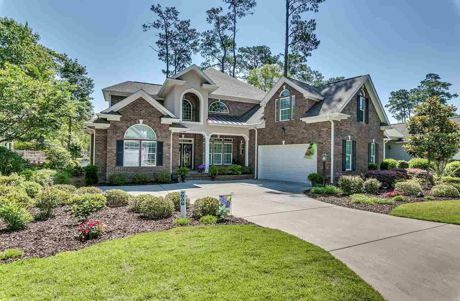 Dyes Estates offers some of the newest built luxury homes of North Myrtle Beach, SC. There are transferable golf memberships available. The great Barefoot Landing is located just outside the Barefoot Resort, offering shopping, dining, and entertainment. As for amenities, homes for sale in Dye Estates have everything you are searching for and more. The monthly HOA fee, varies depending on the neighborhood. Below I have the amenities outlined. Call your Dye Estates Expert Everest Vaught at 843-429-1876 for more information, or to view the homes for sale in Dye Estates. Feel free to email me as well: everestsellshomes@gmail.com. "My Job Isn't Complete, Until My Clients Dreams Are Fulfilled." Search all Dye Estates homes for sale in North Myrtle Beach, South Carolina below! To view Sunset Harbour Homes For Sale or Tidewater Plantation Homes For Sale.